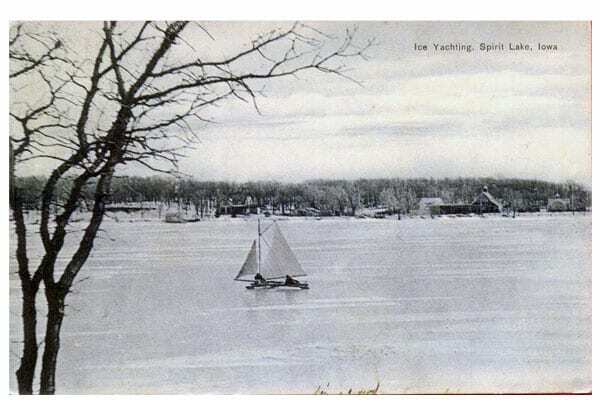 Let’s head west for the next set of vintage iceboat postcards. 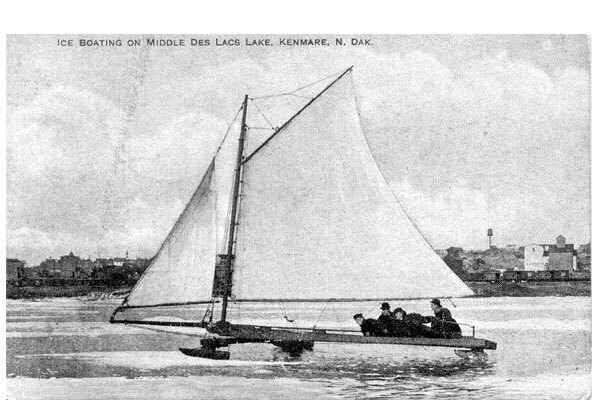 The most unusual of this series is the card from Middle Des Lacs Lake in Kenmare, North Dakota, 30 miles from the Canadian border as the crow flies. A long and narrow lake, Middle Des Lacs is only .5 mile wide by 2.5 miles long. The wind would have to be just right for a Stern Steerer sail on that lake! 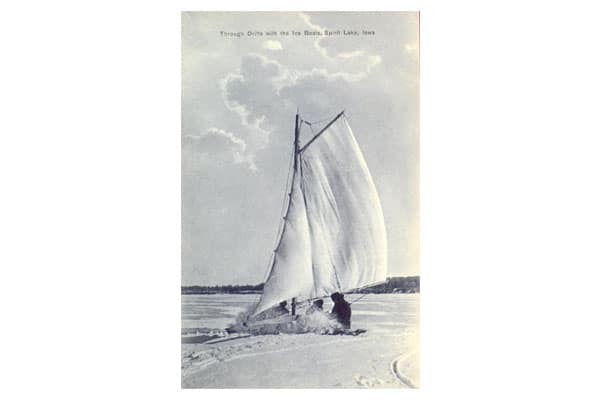 Iowa has a well documented history of ice sailing. 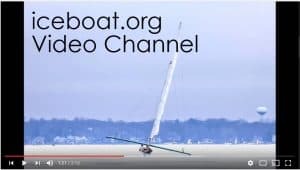 Traveling ten hours southeast from Kenmare, our next stop is Spirit Lake, Iowa, home of the Okoboji Yacht Club. 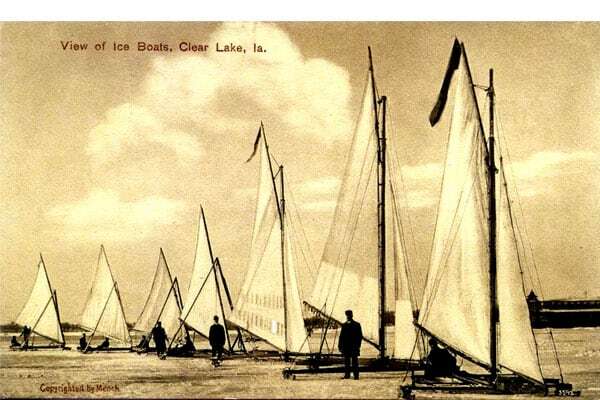 Our Iowan tour continues two hours east of Spirit Lake to Clear Lake, Iowa home of the Clear Lake Yacht Club. 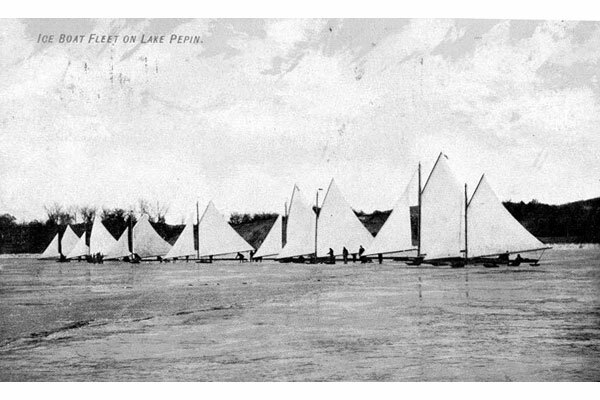 This postcard trip concludes on Wisconsin’s west coast (or Minnesota and Iowa’s east coast), Lake Pepin.